Anyone who follows my blog is bound to have picked up on just how much I love Amy Winehouse – her lyrics, her music, her covers, her production, her persona. I think she’s arguably the best female talent to come around in decades. What sets her apart is the same twist of fate that Ella Fitzgerald was gifted – raw talent. They both were bona fide naturals when it came to delivering a song. One of my favorite productions is Like Smoke (feat. Nas), a counterpoint/mashup done by Amy and Nas. It’s a brilliant coupling of talent and songs. While rap/hip hop has never appealed to me, when I listen to Nas, I come close to liking it. The guy is intelligent, informed and insightful – incredibly so for a kid who dropped out of school in 8th grade – and it comes through in his lyrics, pace, delivery and production. 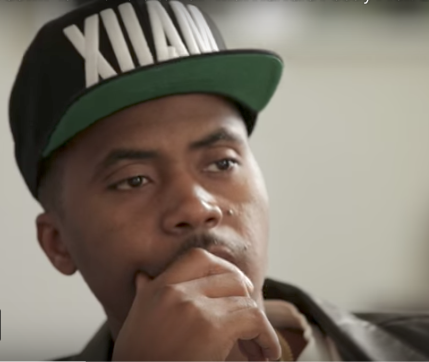 I was thrilled to see the stuffy publication Poets and Writers feature an interview with Nas – an interview conducted by Elisa New, professor of American Literature at Harvard University. It’s a fascinating conversation.